Bräuista: I love Firkin Thursday! Every other Thursday Two Roads Brewery offers up a firkin of one of their regular beers casked with something special. I invited my friend, Trixie, to join me this week. Trixie is not her real name, I changed her name to protect the innocent. Not her innocence. She's hardly innocent! 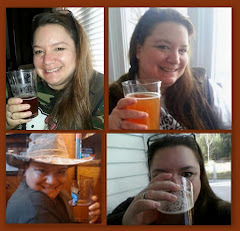 Anyhoo, Trixie is a fellow beer apprecionado (yeah, I just made that up). 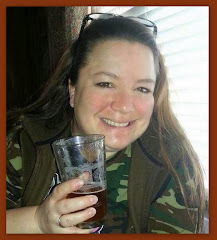 I asked her to join me and my husband for Firkin Thursday. She's not an expert on beer, but she does like to drink it. 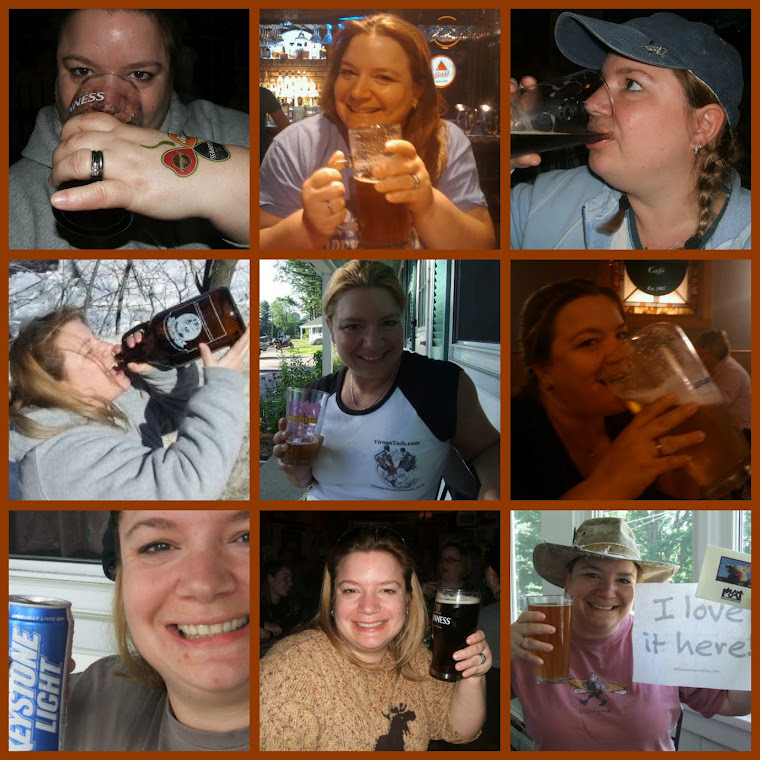 Any friend of beer is a friend of mine! 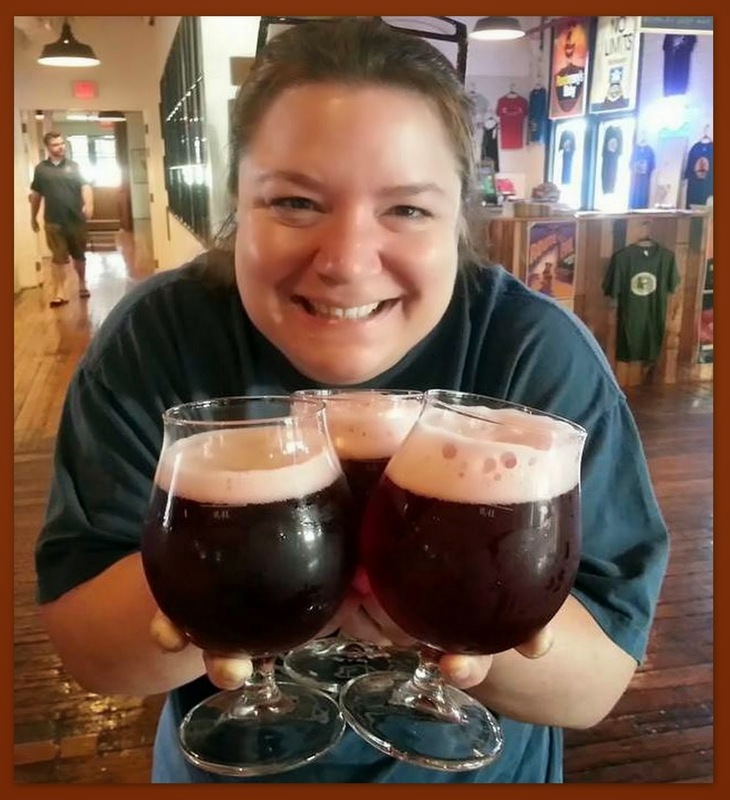 Since I'm a regular visitor to the brewery, she asked what she should get. I told her to get the firkin. Since she was heading up to the she offered to get us a beer. I still had a full glass but hubby was running on empty so he asked her to get him a hefeweizen. I went to the bar with her. Ryan asked what he could get for her. Trixie said, "I'd like a fahrvergnügen and a Haffenreffer." Ryan was like, "Fahrverg . . . huh? Wha?" "She does not want haffenreffer! Or a Volkswagen for that matter. She'd like a glass from the firkin and a hefeweizen", I translated. Ryan scratched his beard in confusion but managed a couple of excellent pours. 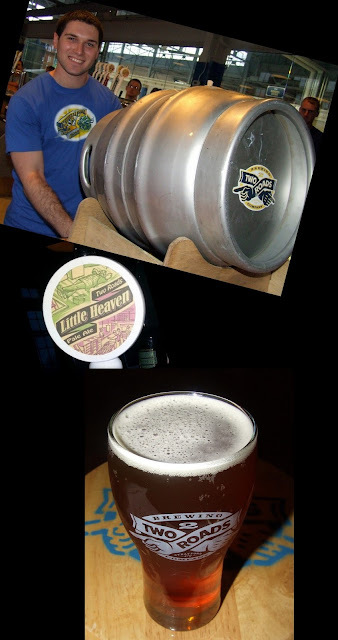 This Thursday featured a firkin of Little Heaven pale ale dry-hopped with delta hops. Delta hops are a relatively new variety that has a mild aroma and is slightly spicy with a hint of citrus. Little Heaven is a pretty bitter beer, so I was very curious to see what dry hopping it would do to change the character of the beer. It was very interesting. The Delta hops actually seemed to tame some of the bitterness and smooth it out a bit. It was still bitter but not with an in-your-face bite. And the taste of the Little Heaven was changed subtly but distinctly. It was quite tasty and drinkable (I had three). I liked it!